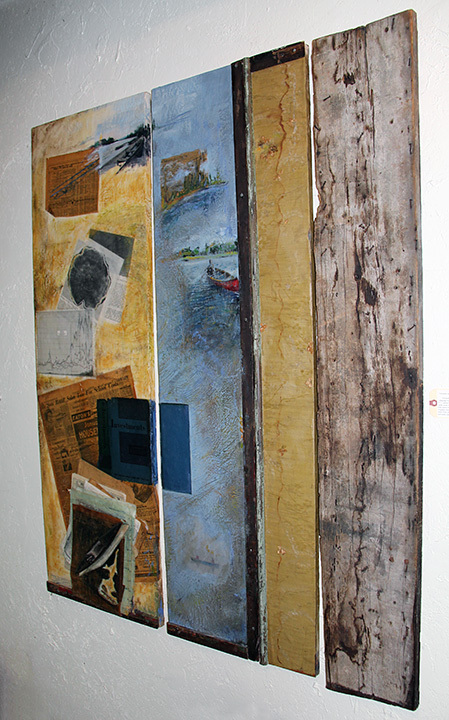 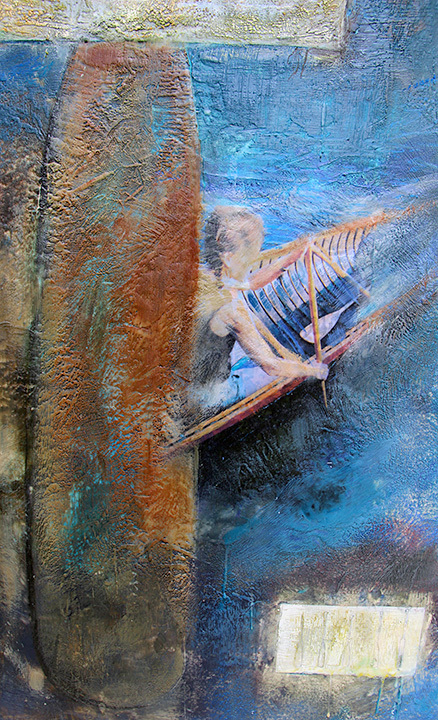 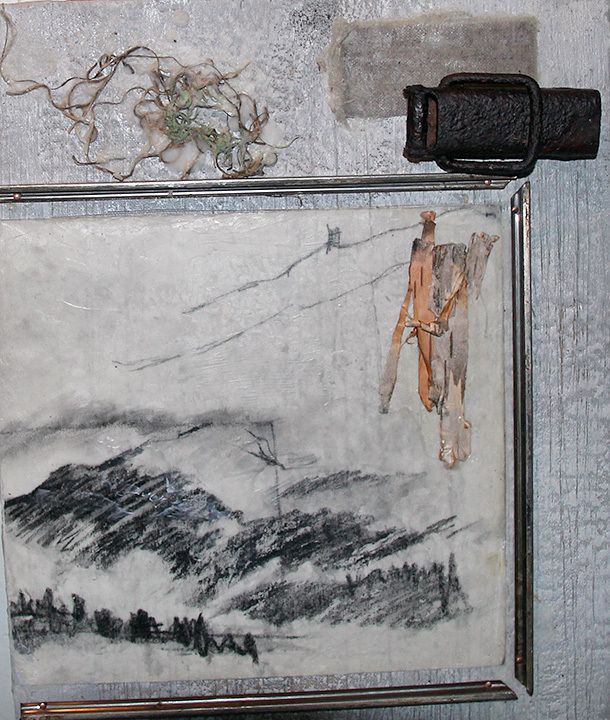 Encaustic, summer camp canoeing curriculum circa 1979, photo transfer, graphite, charcoal, oil stick and pastel. 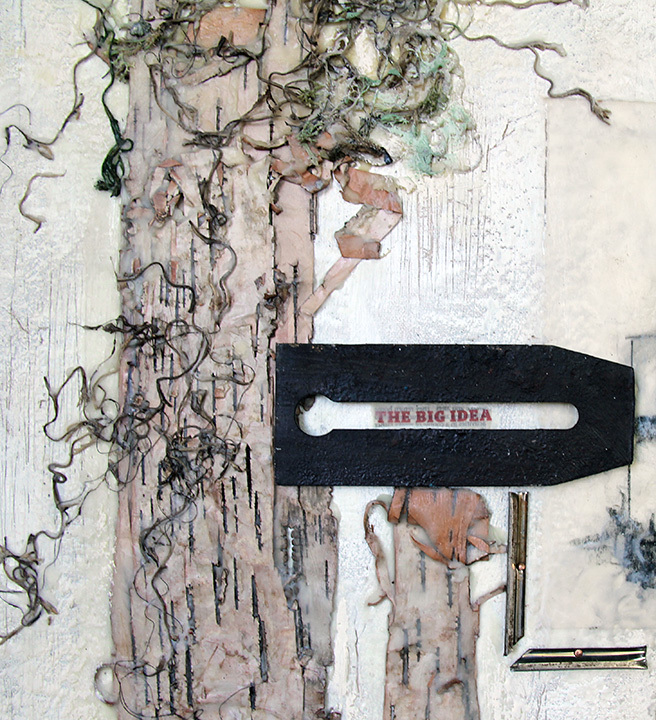 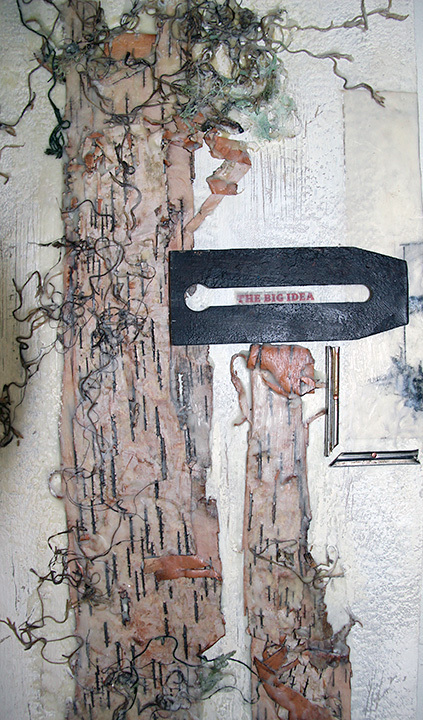 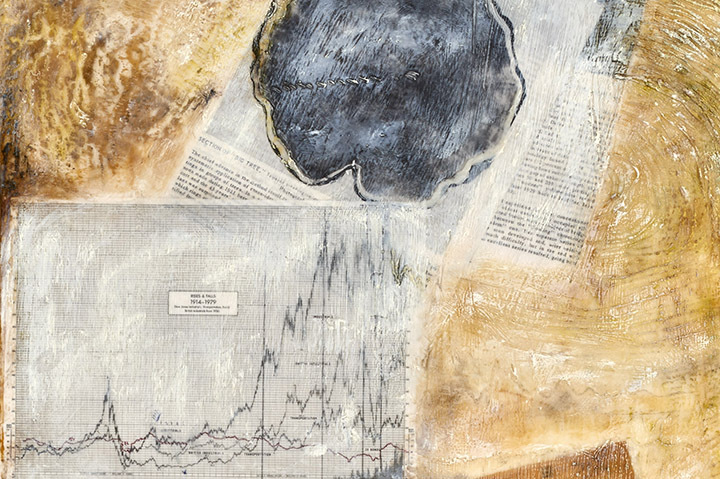 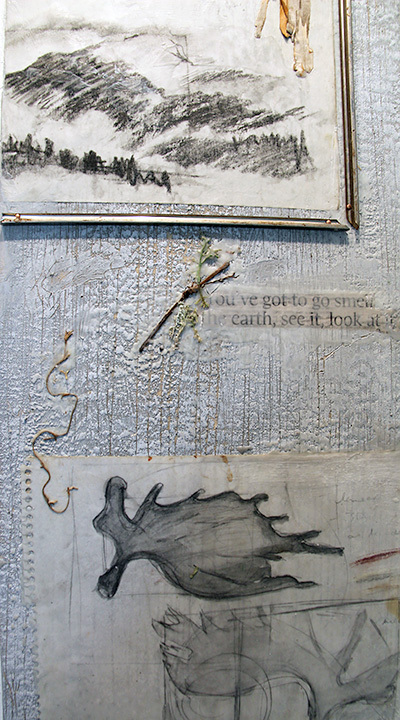 Encaustic, photo transfer, graphite, and oil stick. 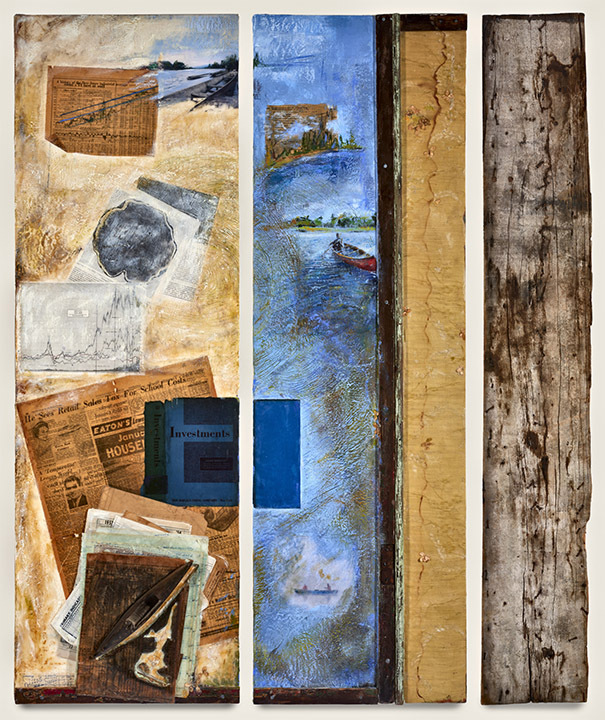 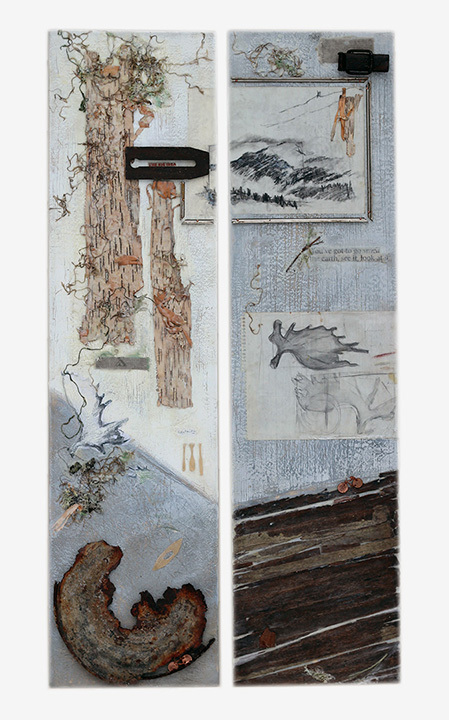 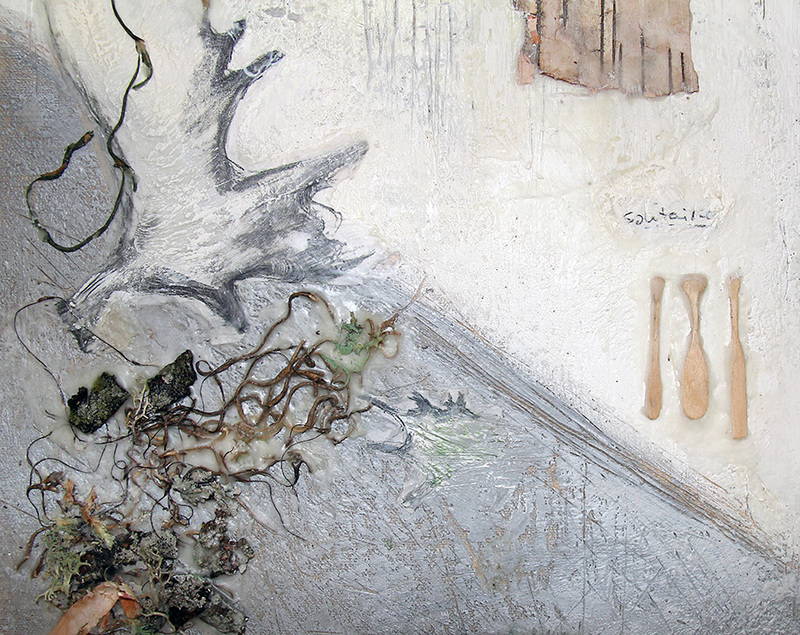 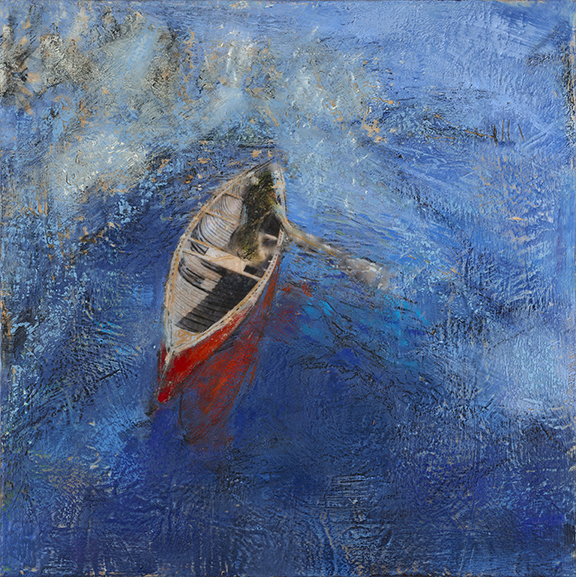 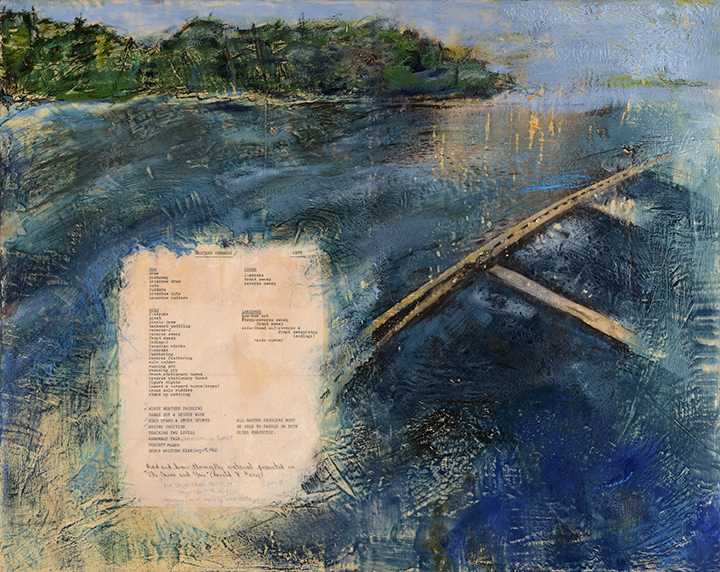 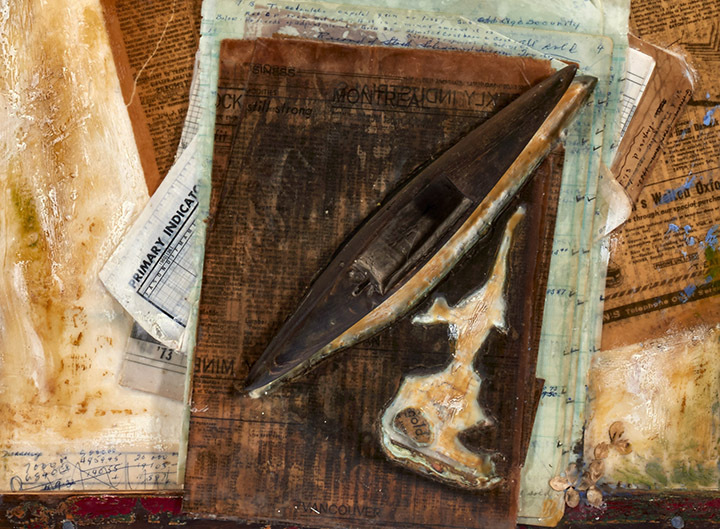 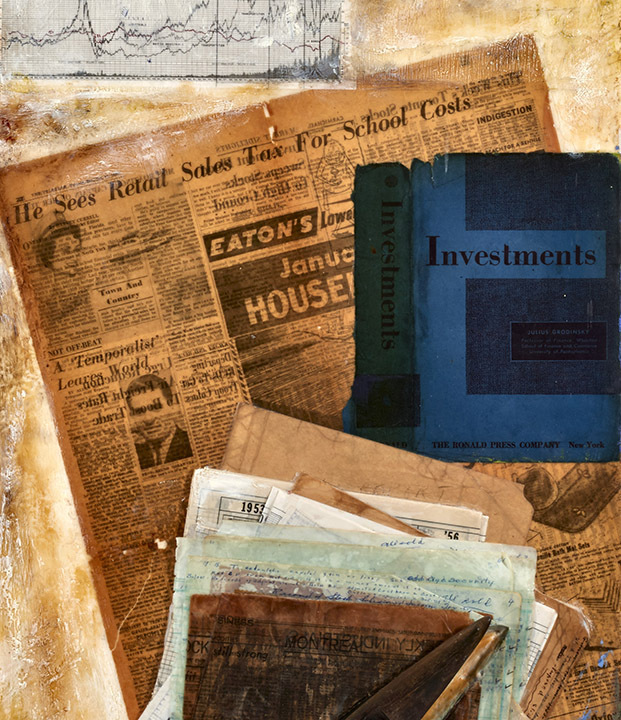 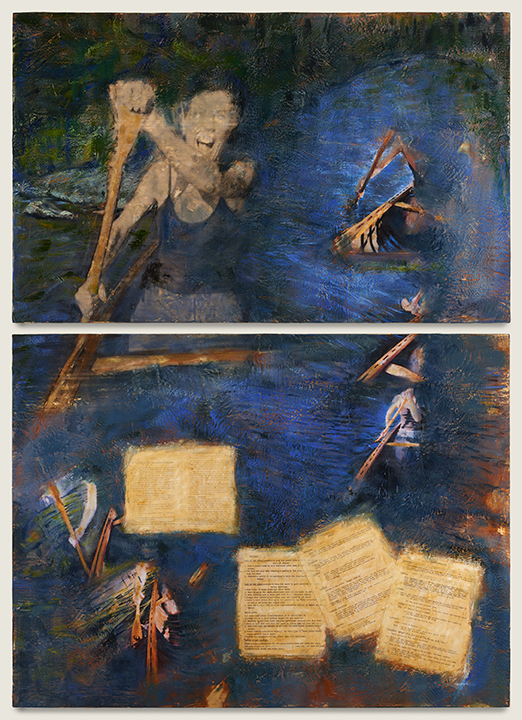 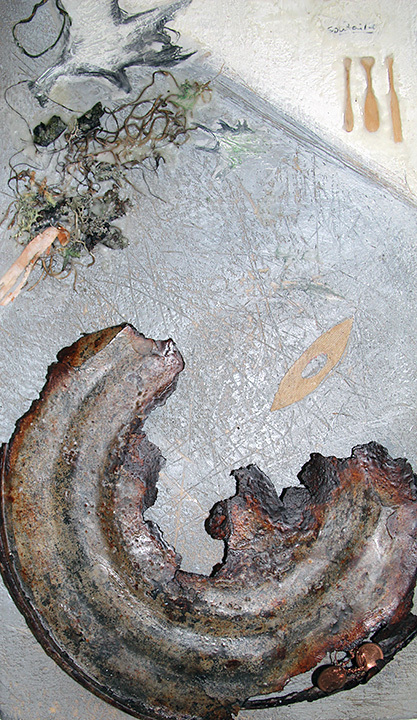 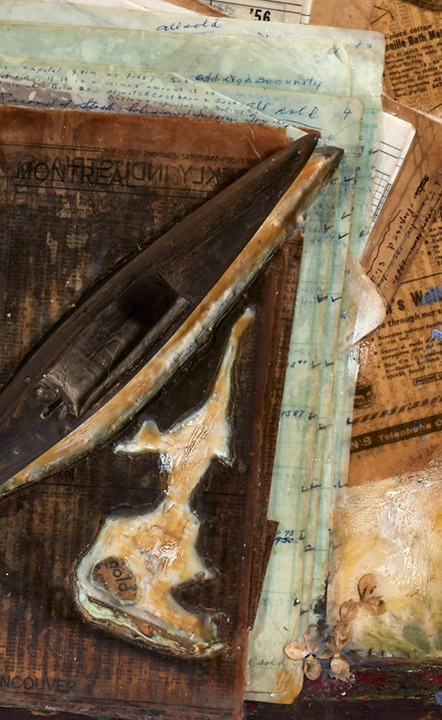 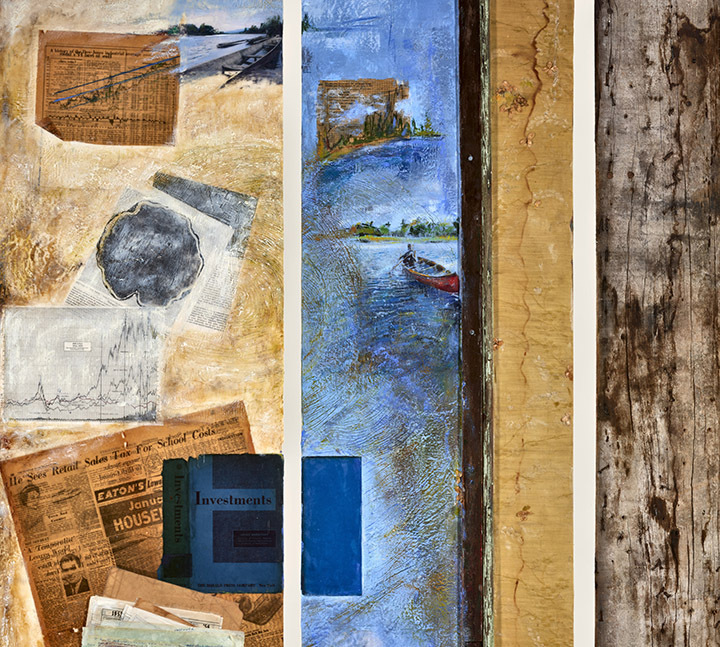 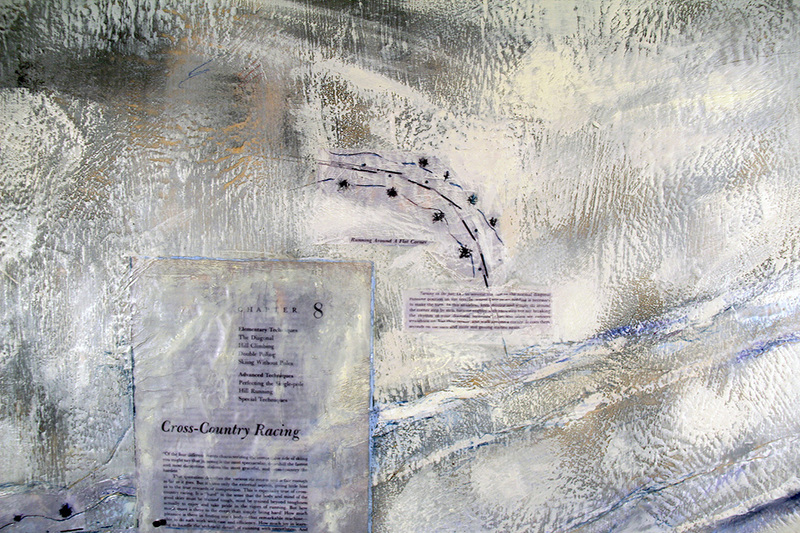 Encaustic, photo transfer and scans, excerpts from The Canoe and You, RH Perry, 1948, summer camp canoeing curriculum circa 1979, graphite, charcoal, oil stick and pastel. 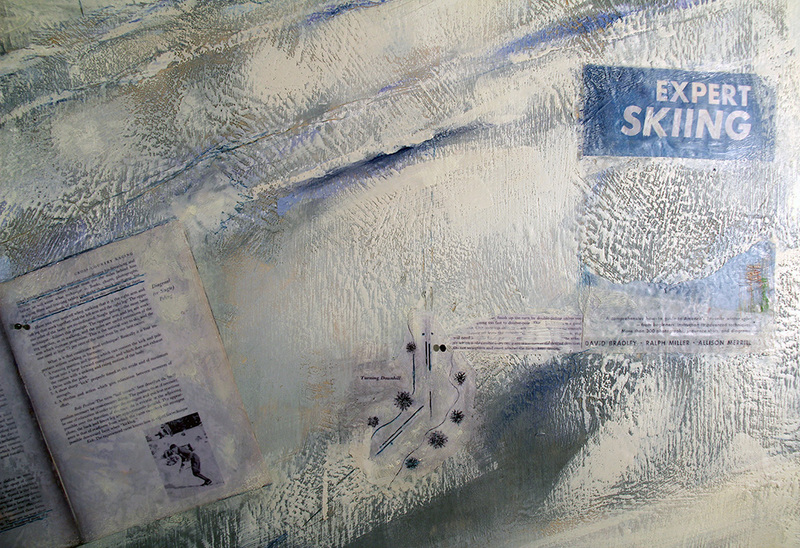 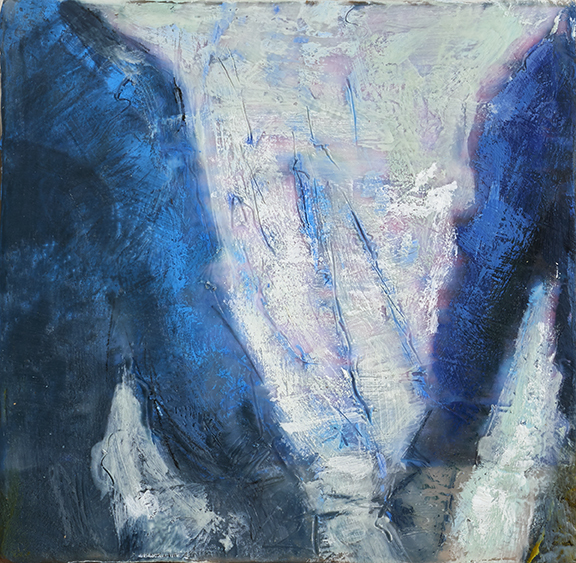 Encaustic, oil stick and pastel on canvas on panel. 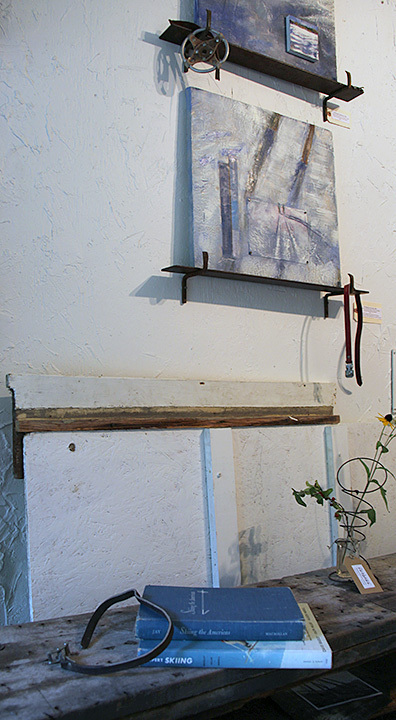 Distressed metal shelf and brackets with ski pole basket. 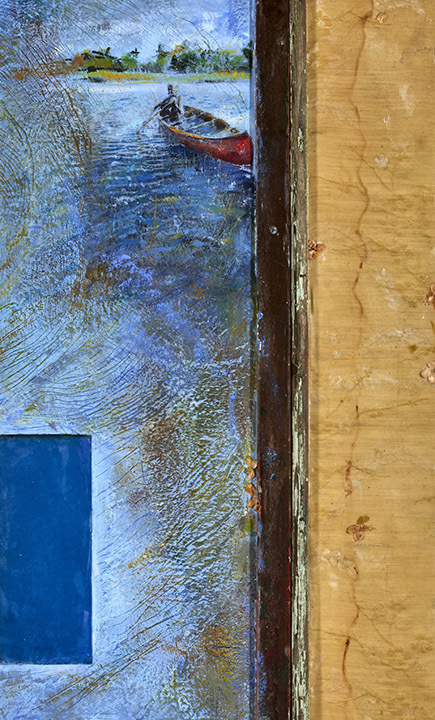 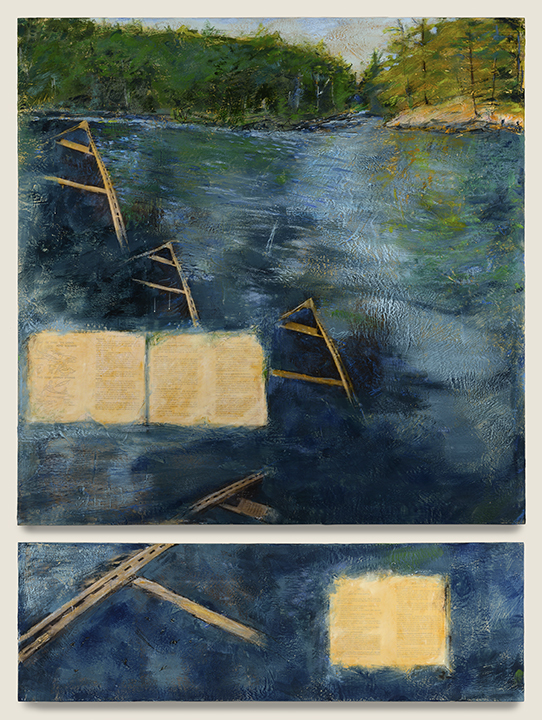 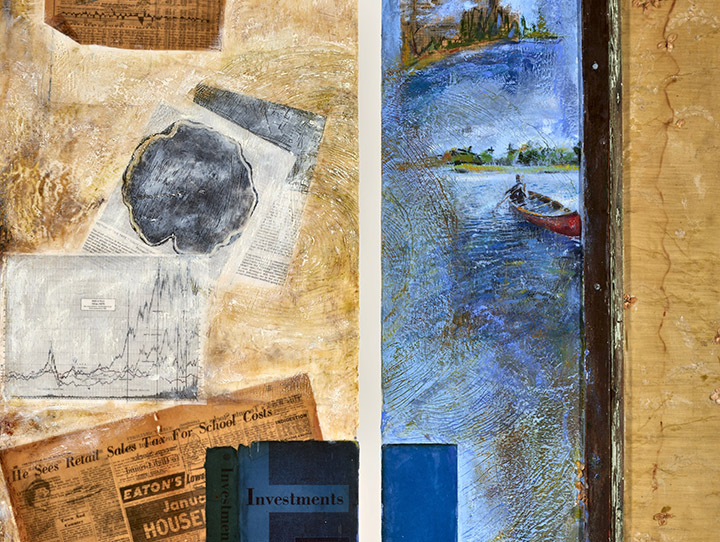 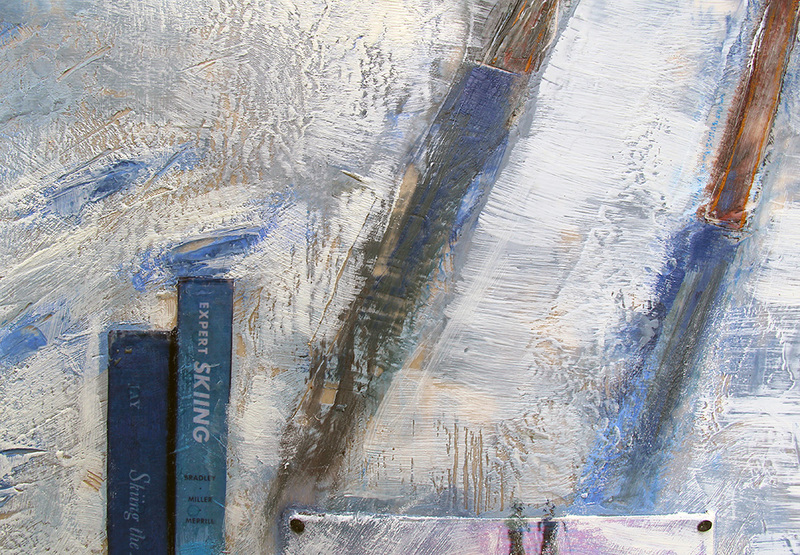 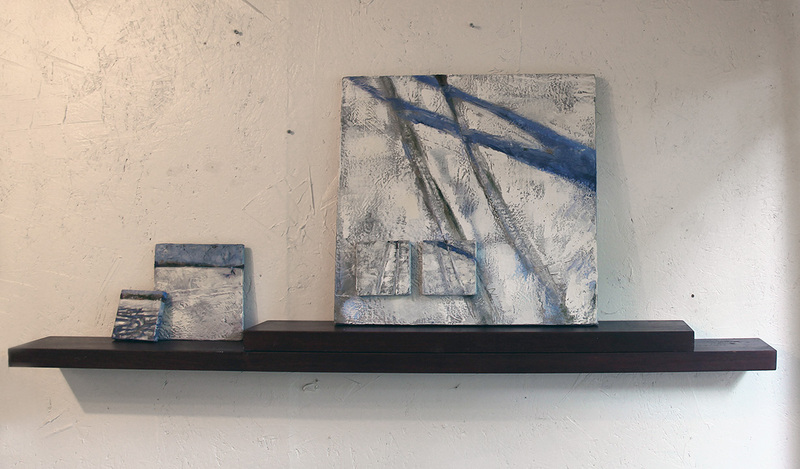 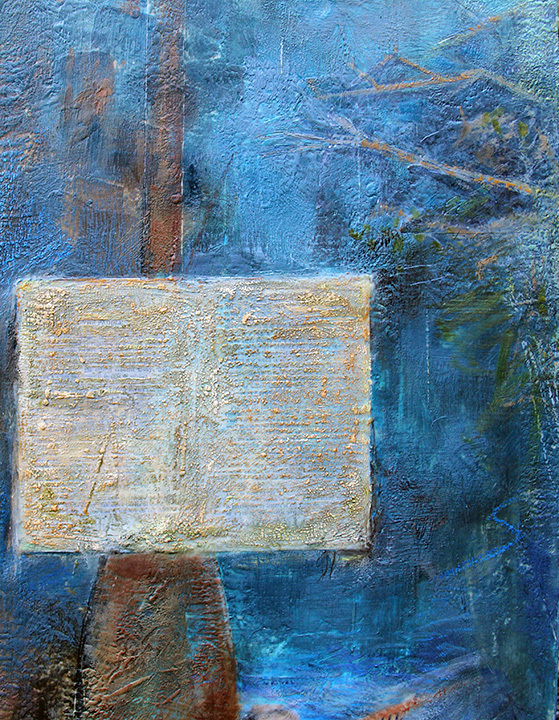 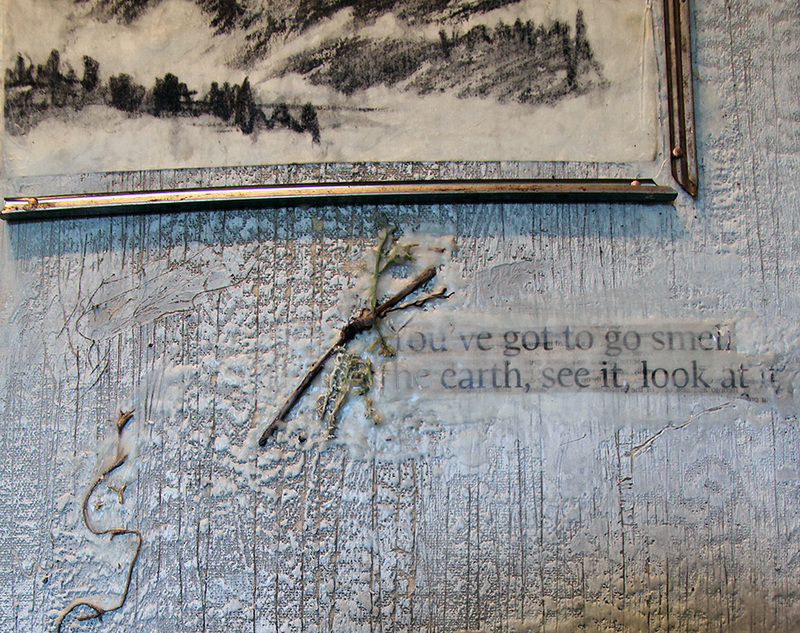 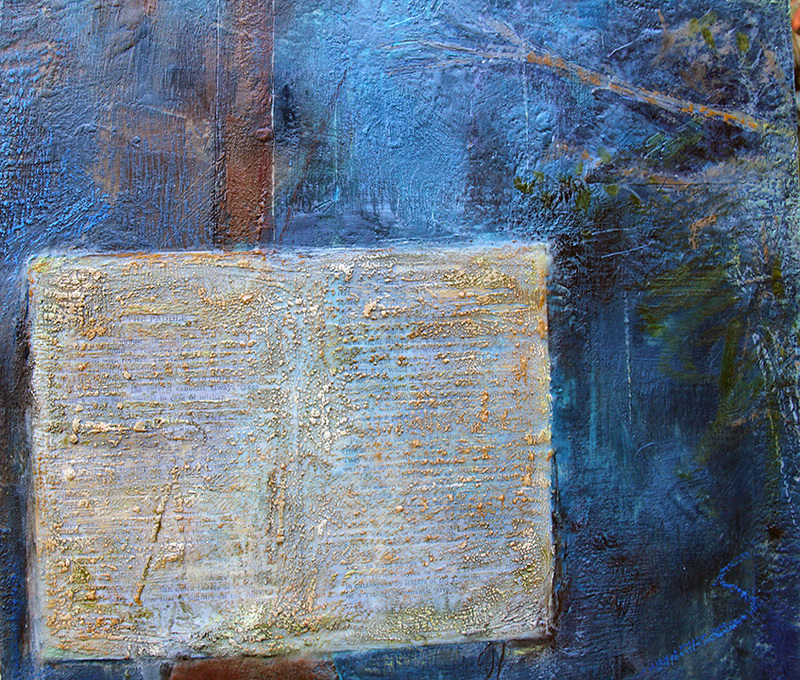 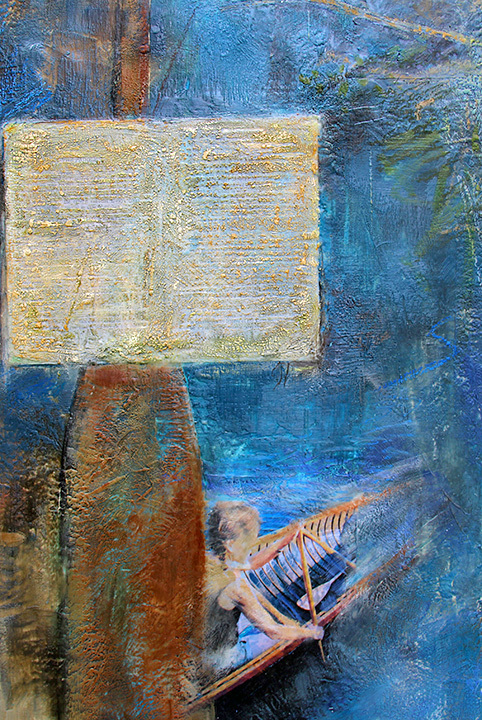 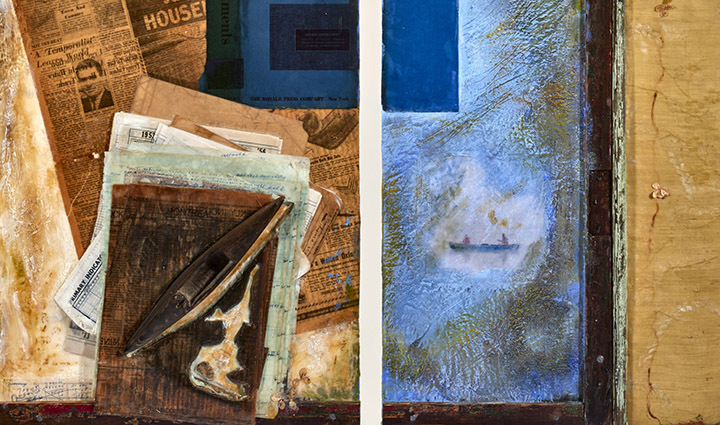 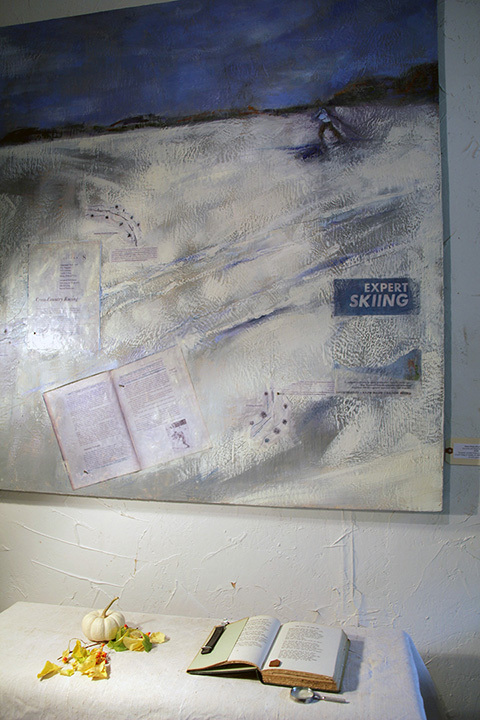 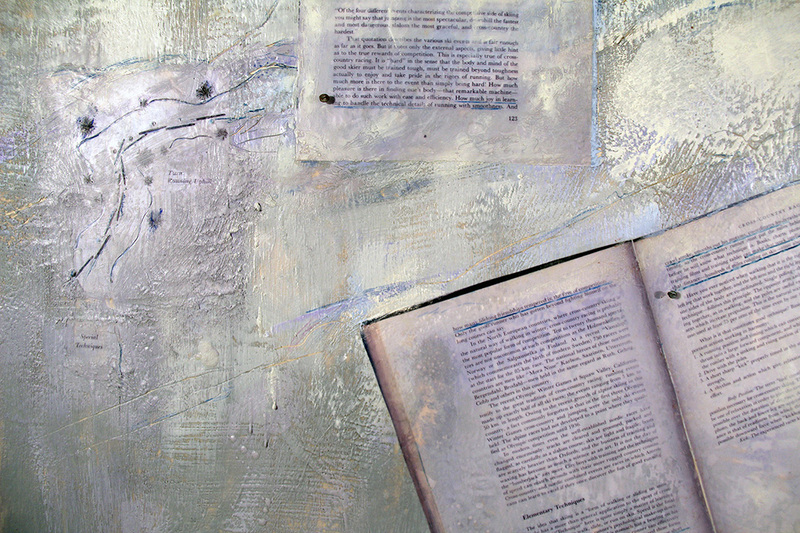 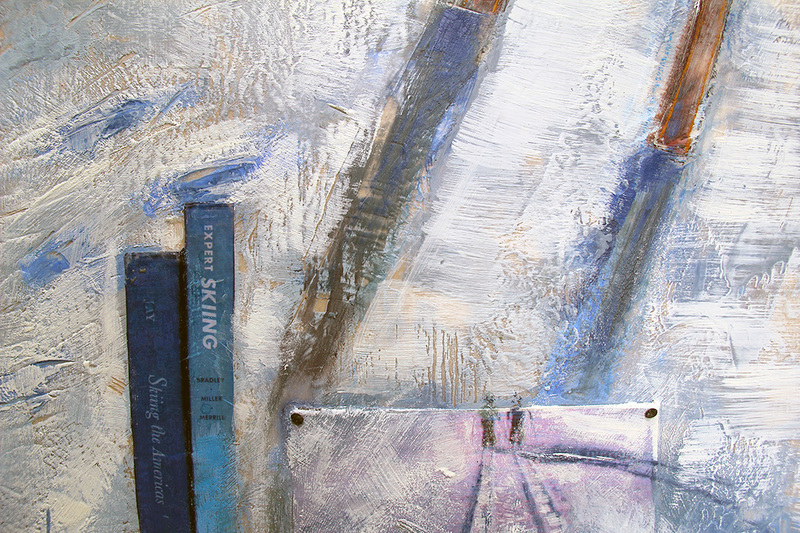 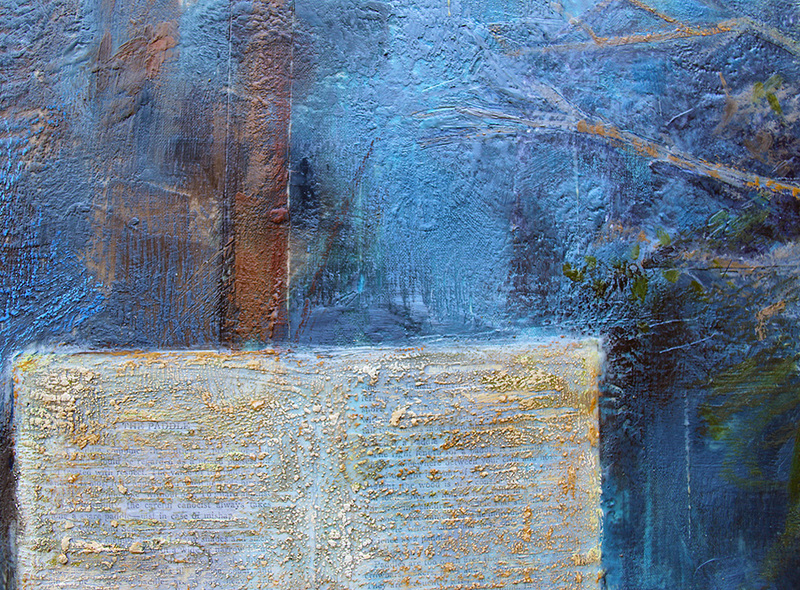 Encaustic, excerpts from books in Dad’s library, watercolour paper, oil stick, pastel, tacks on canvas on panel. 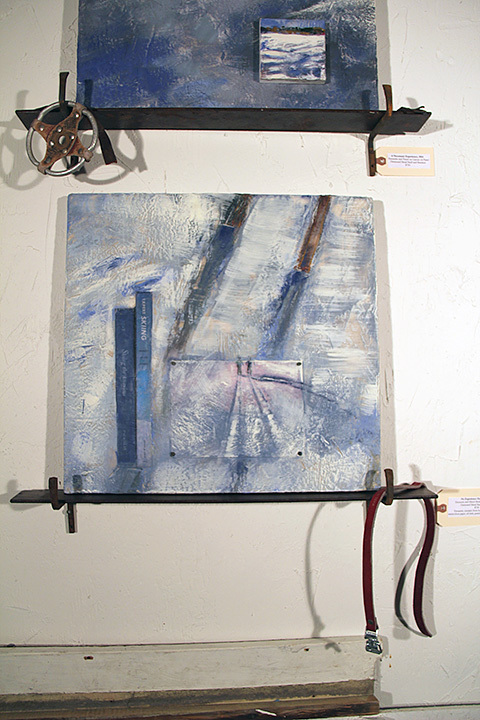 Distressed metal shelf and brackets with leather safety strap. 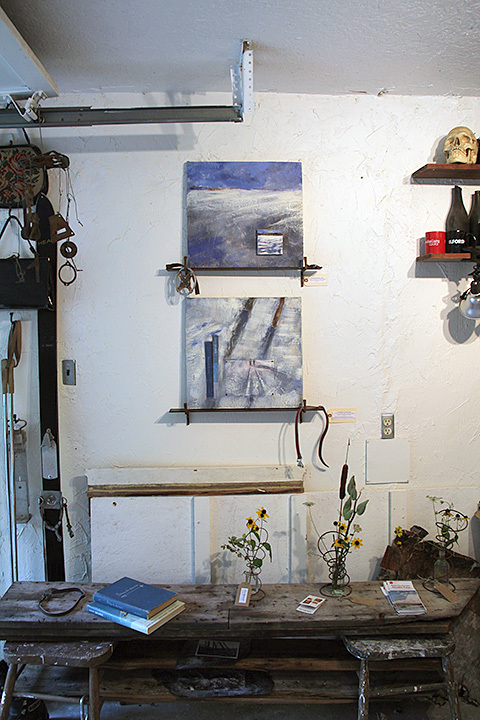 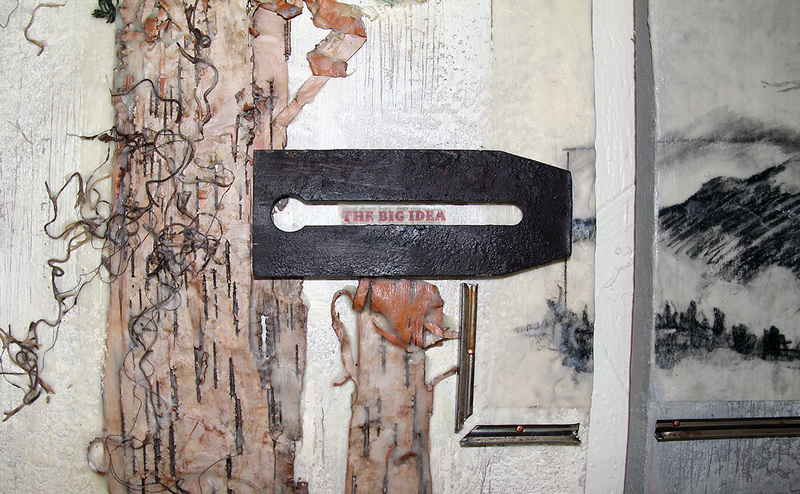 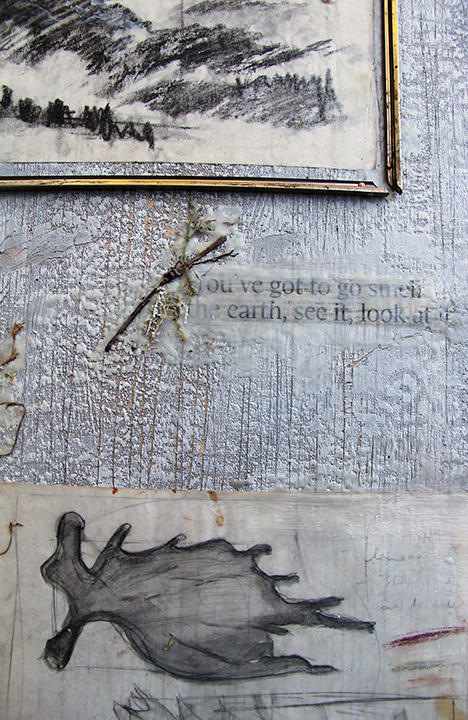 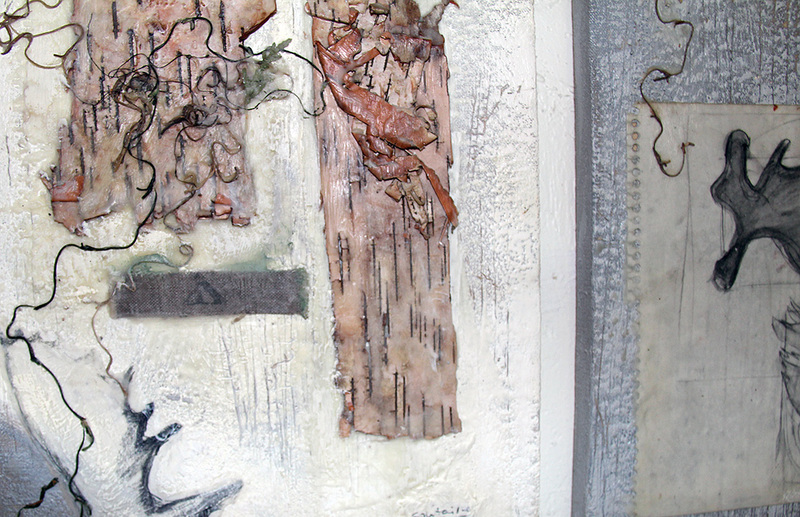 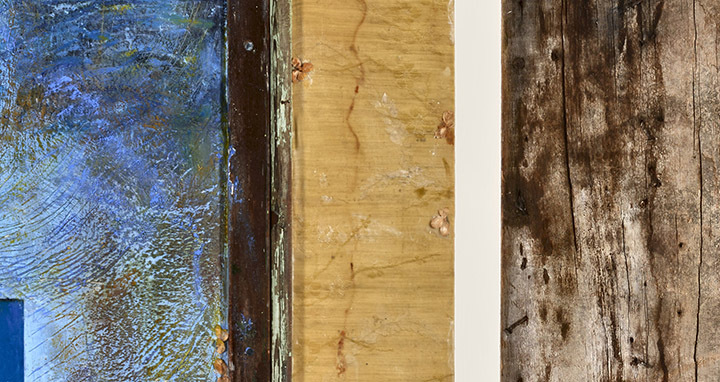 Encaustic on canvas under-painting on repurposed kitchen cupboards–2010, charcoal and graphite drawings–circa 1990, bicycles made from Canadian pennies and copper wire–2013, balsa wood paddles–2013, US army tent canvas, galvanized tin, metal, nails, tacks, rare earth magnets, wood veneer from a crate, birch bark, lichen, Spanish moss, pine needles, twigs. 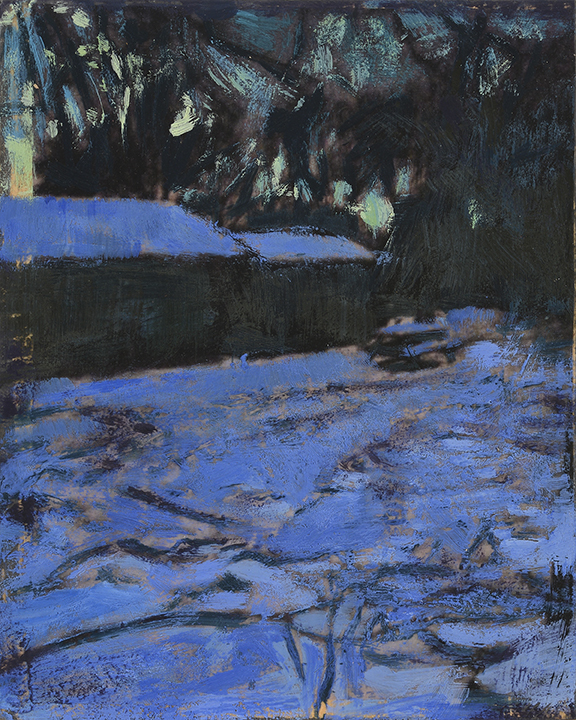 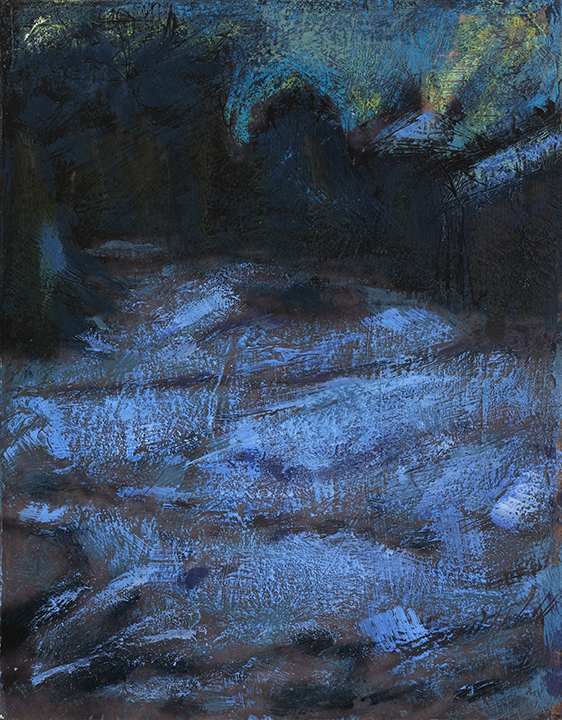 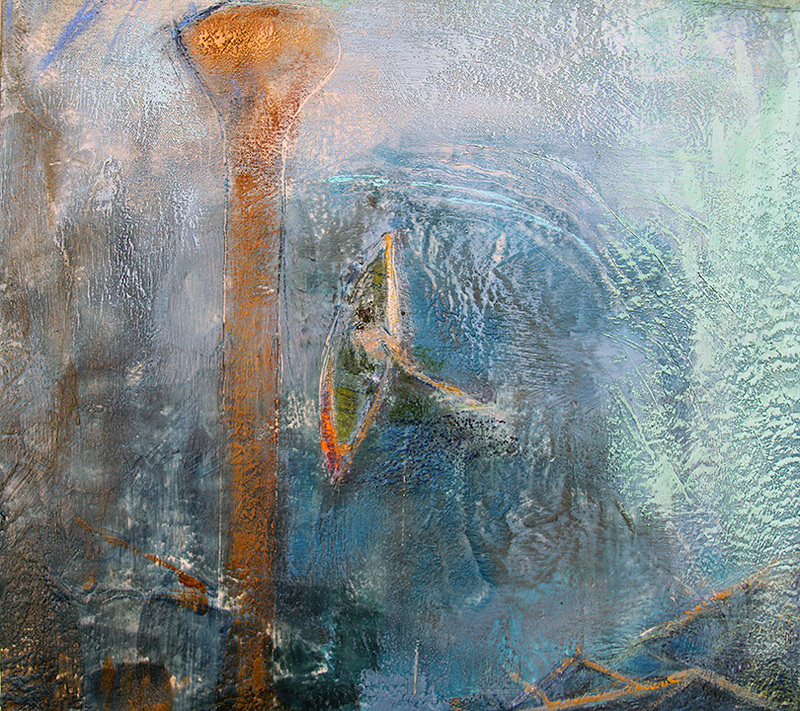 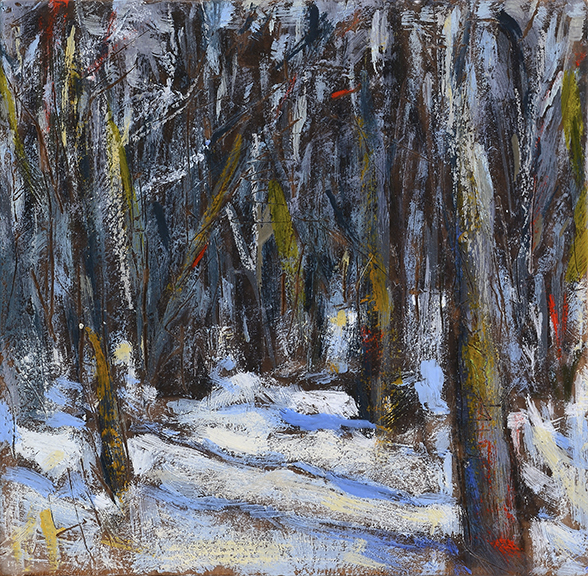 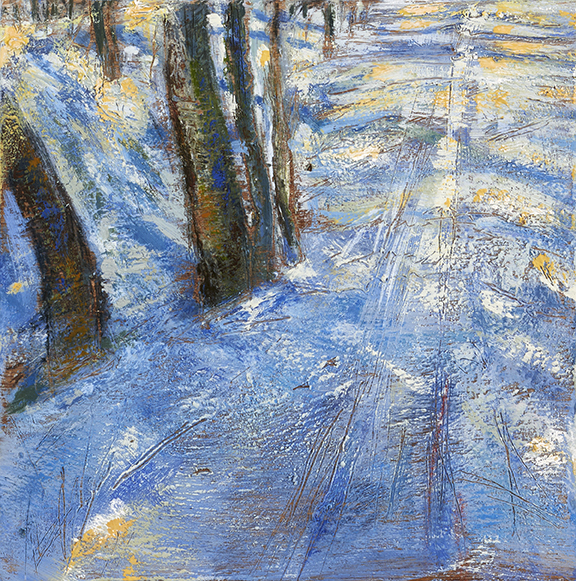 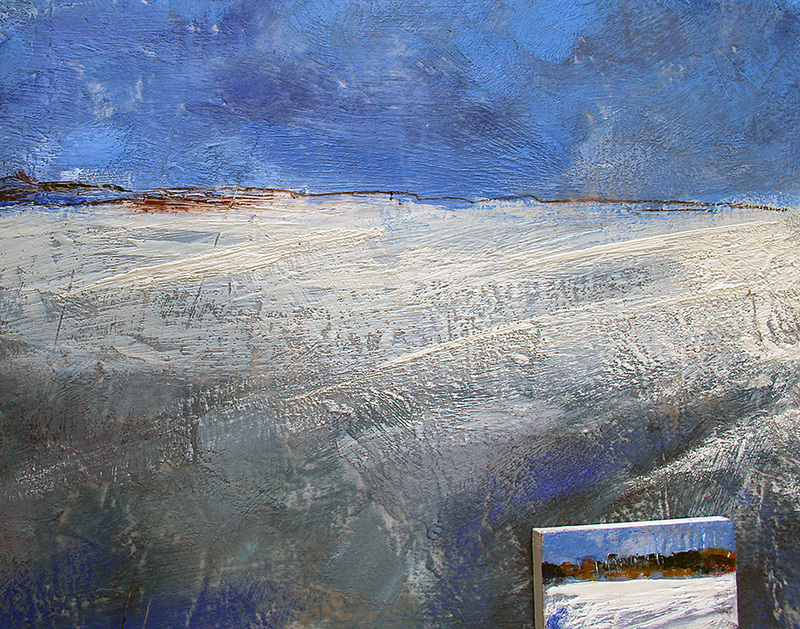 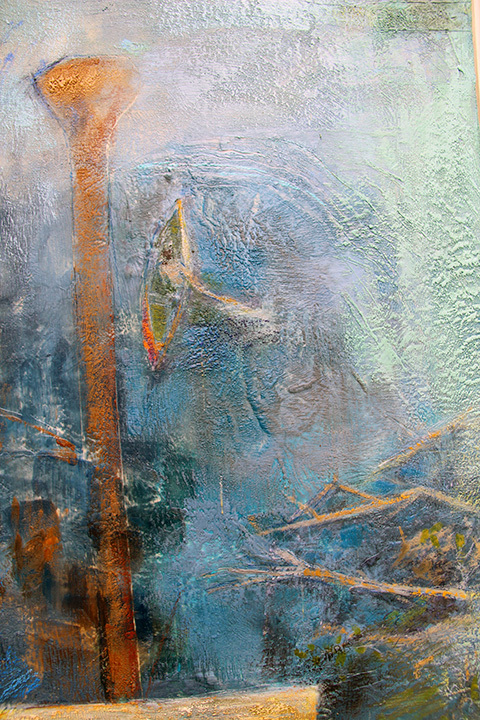 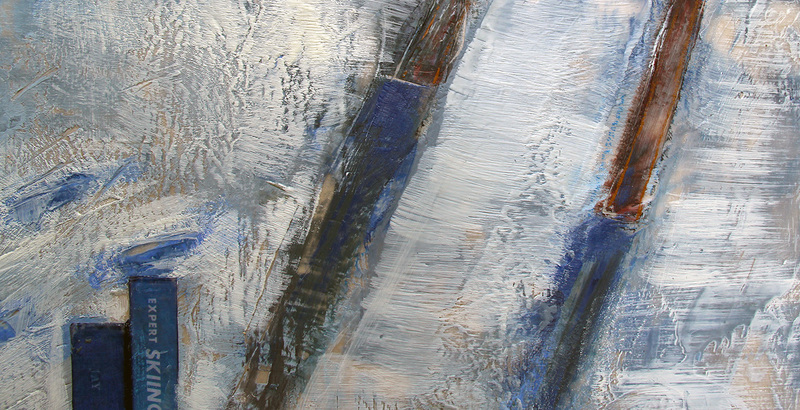 oil stick, pastel, tacks on birch panel. 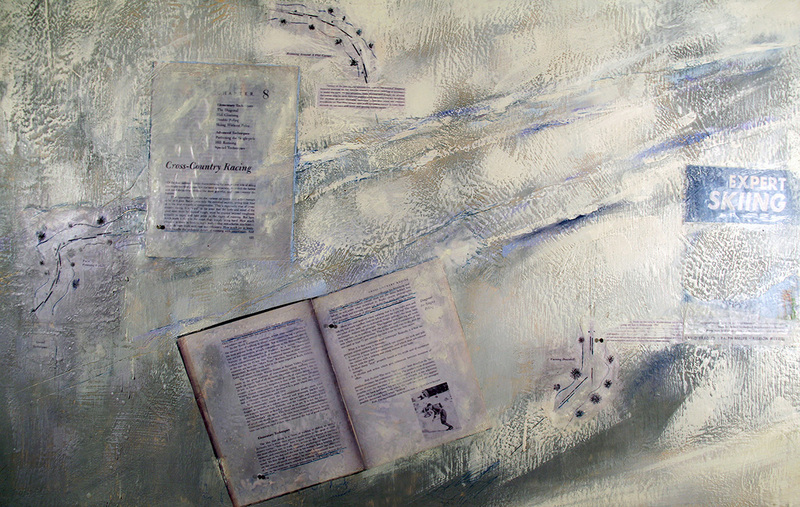 Encaustic, Gran-dad’s security records and papers (The Telegram, 1959, The Globe and Mail, 1971, Rise and Fall Charts, Annual Reports), book-jacket from Aunt Pearl’s investment book, photographs, oil stick, pastel, window mount and trim, nails, tacks, hydrangea petals, Nepalese weaving boat-shuttle made from bone, canvas and silk from Nana and Gramps’ antique screen on repurposed kitchen cupboards, plank from the roof of Jane and Pete’s first house. 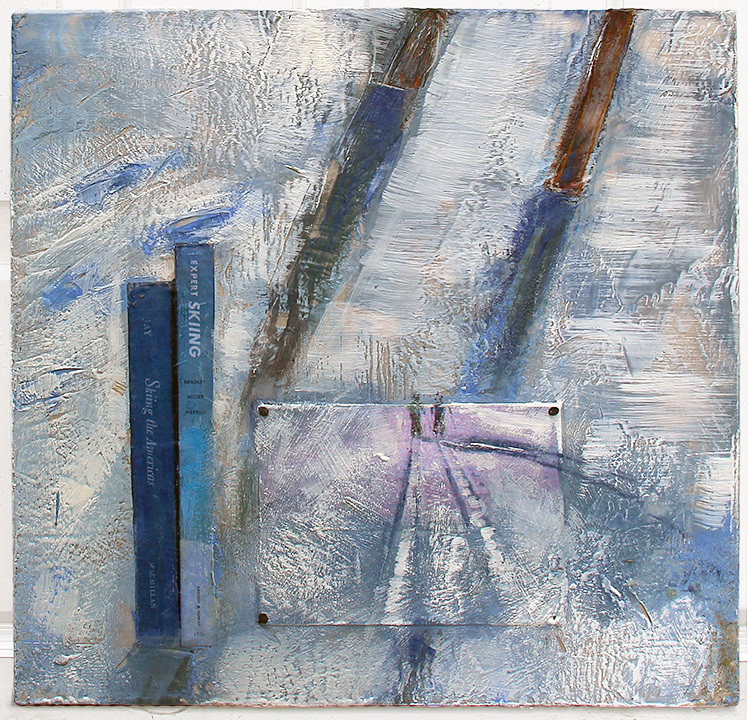 oil stick, pastel, canvas on repurposed kitchen cupboard. 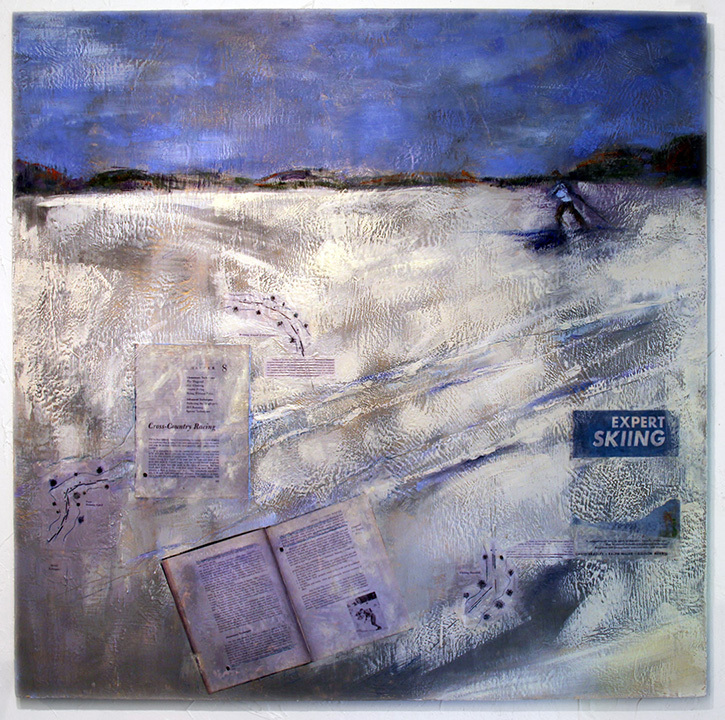 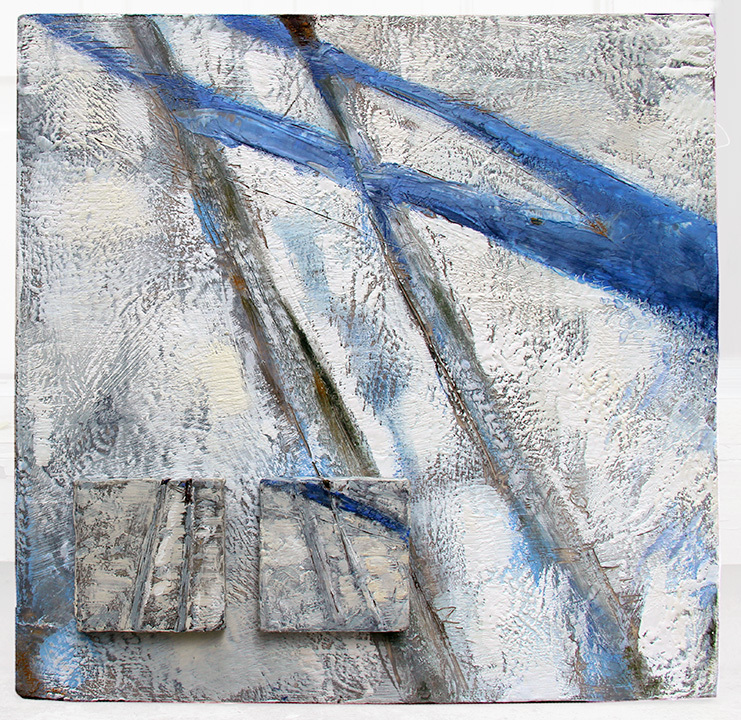 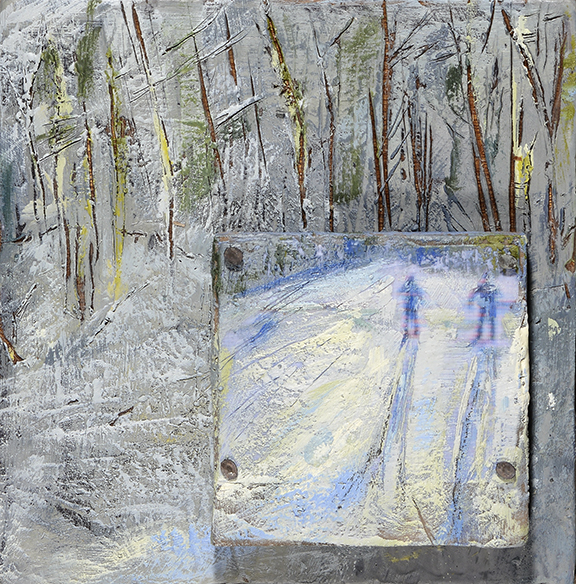 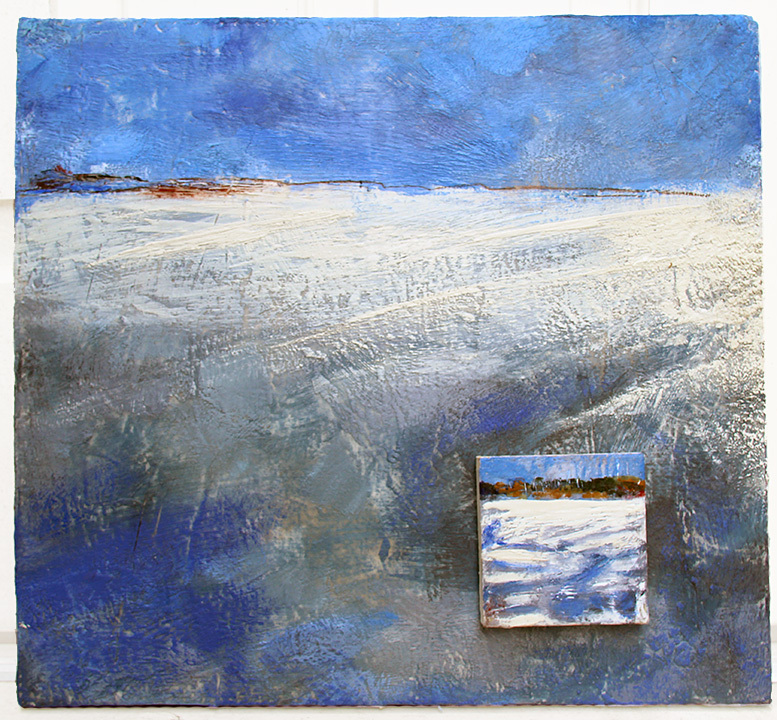 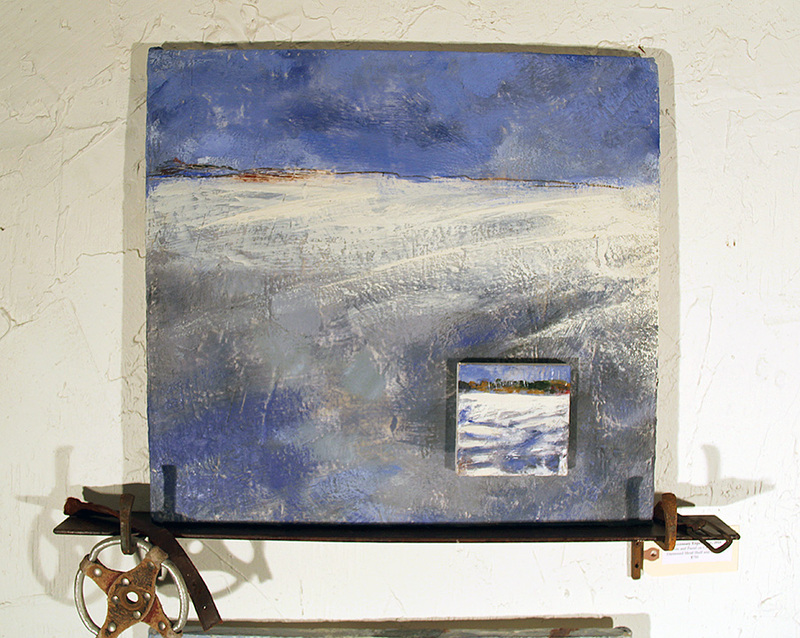 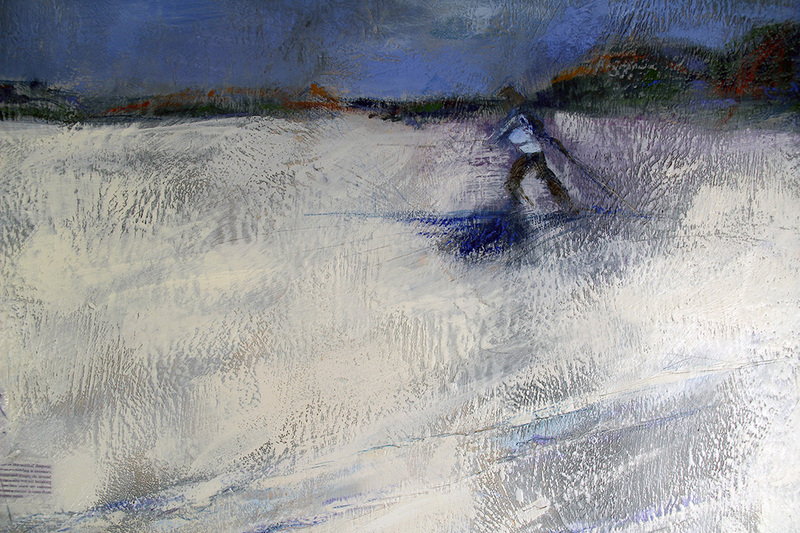 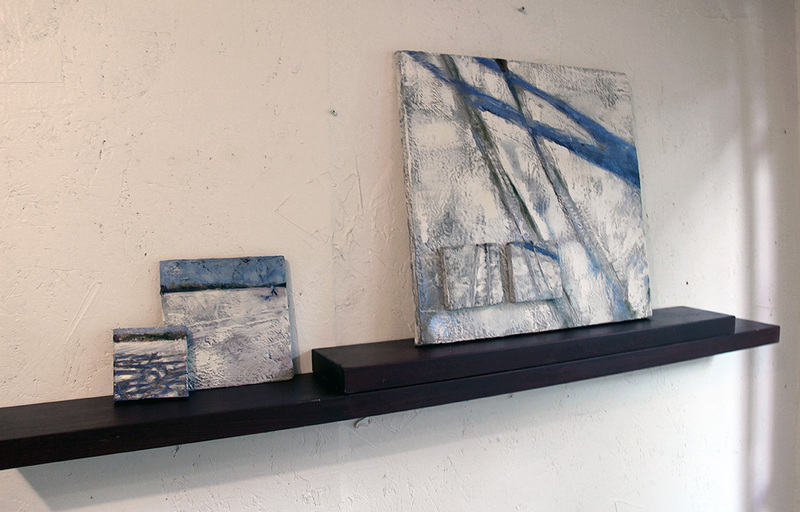 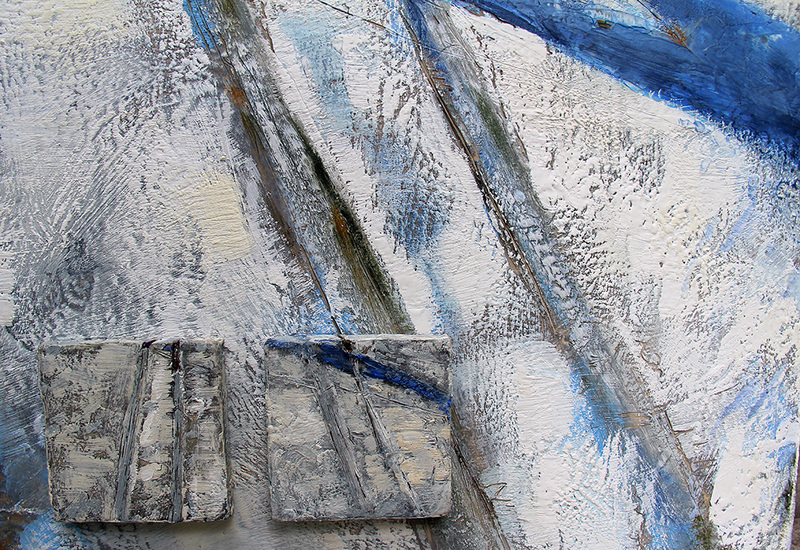 Encaustic on canvas on panel.